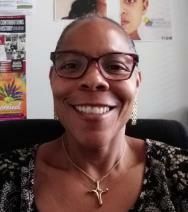 Jacquelyn Holmes serves as the Financial and Business Operations Manager for Enrollment Management at UC San Diego. She began her tenure with the University in 2001 and has worked in two academic departments, one college, an administrative unit and for the past nine years in the office that manages admissions and enrollment services for the University. Jackie has served on the UC San Diego Staff Association Executive Board for the two years after being involved with the Staff Association for many years. She actively participates in the Black Staff Association and has been a member of UJIMA as well. She consistently brings a balanced and thoughtful approach to issues she is working to address or resolve. Jackie was selected to be the Chair Elect of the Staff Association Executive Board in July 2017 and is honored for the opportunity to serve.